FLAC stands for Free Lossless Audio Codec. It is a very high quality audio file but iTunes doesn't support it. I also tried playing it with my car's audio player and it doesn't even see the file. So to make it play on the majority of music players, it is safe to convert it to MP3 audio format. 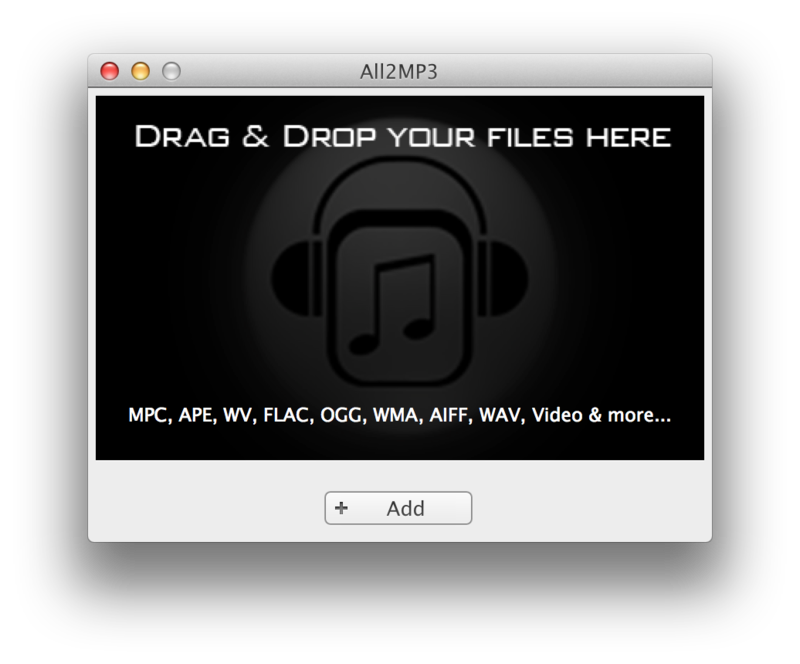 Fortunately for Mac users, there is a free and quick conversion tool called All2MP3. The usage of this tool is pretty straight forward. Once your done downloading it, just run the app from your Launchpad and start dragging files in to it. You may also click on the "Add" button to add files. All2MP3 doesn't just convert FLAC alone, it also supports other audio formats which are listed here.